White Soup Press, 9780615669755, 240pp. Trapped for three days by a flood, and trapped forever by society because of it....The river isn't the only thing overflowing in Hunsford when a natural disaster forces Elizabeth Bennet and Mr. Darcy to work together. The residents of flood-stricken Hunsford, seeking refuge in the parsonage atop the hill, are unaware they are interrupting Darcy's disastrous proposal. Even worse, the flood has washed out the only bride to Rosings Park, stranding Darcy with the woman who has just refused his offer of marriage. But it may already be too late to redeem Elizabeth's reputation....In this Pride & Prejudice variation, the lane dividing the Hunsford parsonage from Rosings Park has been replaced by one of the flood-prone Kentish rivers. The storms are real - the spring of 1811 was remarkable for numerous thunderstorms in Southeast England. Abigail Reynolds is a lifelong Jane Austen enthusiast and a physician. Originally from upstate New York, she studied Russian, theater, and marine biology before deciding to attend medical school. She began writing variations on Pride and Prejudice in 2001 to spend more time with her favorite Jane Austen characters. Encouragement from fellow Austen fans persuaded her to continue asking "What if...?," which led to seven novels in The Pemberley Variations series. 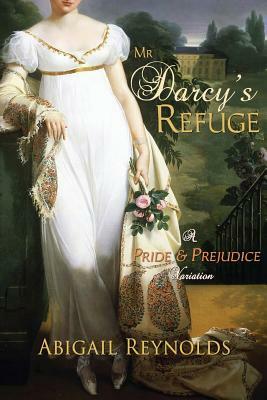 She has also written two contemporary novels set on Cape Cod, The Man Who Loved Pride and Prejudice and Morning Light. In 2012 she retired from medical practice to focus exclusively on writing. She is currently at work on a new Pemberley Variation as well as the next novel in her Cape Cod series. She lives in Wisconsin with her husband, two teenage children, and a menagerie of pets. Her hobby is trying to find time to sleep.